Agnes in our UK office LOVES Antarctica. Her love for this incredible continent took her there, not once, but twice in 2013! Her Antarctica obsession is addictive, especially for those (me) yet to travel out there. 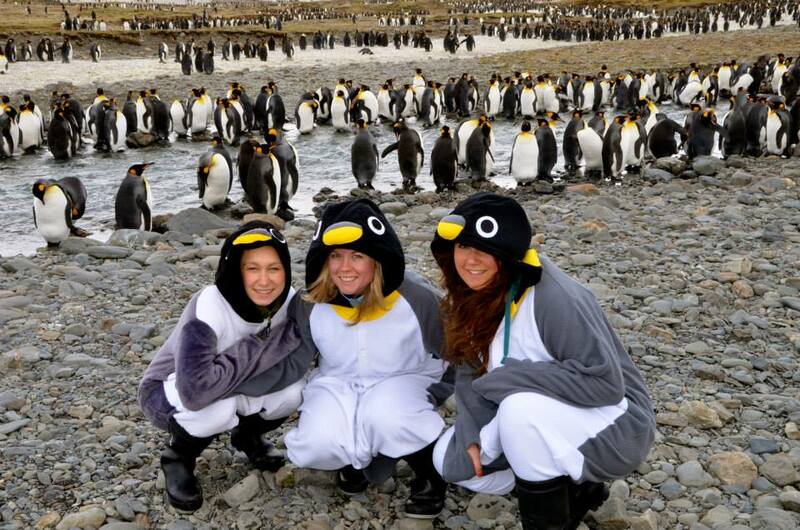 Here she recalls her second visit, where she was lucky enough to travel with two of her Chimu friends Sandra and Nicole, on the first boat of the season and see South Georgia and Antarctica at their most pristine. Being the first to see Antarctica this season was a very special feeling indeed! This would be my second trip to Antarctica in the same year, crazy I know! You would think that this would take some of the excitement away, but in fact knowing what wonder awaited me, only added to the experience. We boarded the MV Ushuaia mid October in Stanley on the Falkland Islands and set off for South Georgia. Two days at sea accompanied by many sea birds including giant petrels and different kind of albatrosses, we arrived as the shores of remote South Georgia. We could not believe our eyes! Of course we had all come here to see King Penguins, but we were not prepared for what awaited us! There were literally thousands of them waiting for us on the beach on our first landing by so called zodiacs. For some, this was probably their first contact with humans and many of them were quite curious. IAATO rules state that you are not allowed closer than 5 metres from the wildlife, but the penguins don’t live by these rules and there is nothing to stop them scampering right up to you! 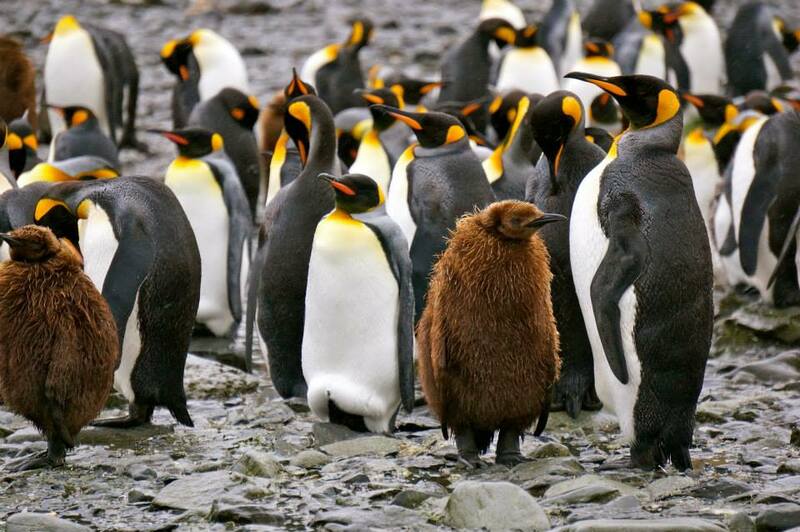 Those beautiful colours of black and white, orange and yellow go beyond imagination and the sheer number of penguins everywhere is mind-blowing! What an experience! As we ventured inland to the more remote and protected areas, we were presented with the real icing on the cake- the little brown fluffy chicks. They were utterly adorable and it was wonderful watching them search for their mothers by sound in order to feed. 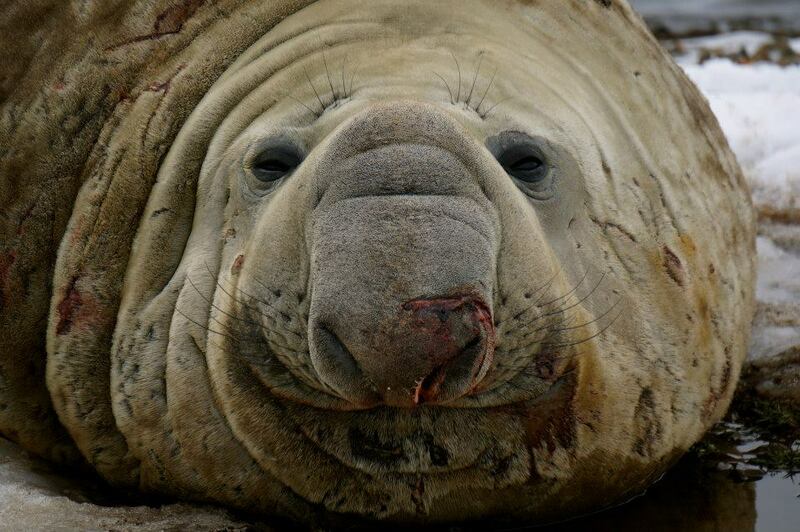 A highlight I wasn’t expecting to even like was the elephant seals. They are absolutely huuuuuge! Enormous and weird shaped males lounge around surrounded by all their females and pups. It was a very impressive sight! And with such a small group (there were only 40 of us in total on this departure) it felt so special to be surrounded by such abundant and impressive wildlife! We spent four days in South Georgia – a beautiful wildlife paradise, and enjoyed two or three landings each day in a variety of weather conditions. At the beginning of the season, which is basically the beginning of spring, everything can be possible in terms of weather! We for instance, encountered one day full of snow and sea ice on our landing in Salisbury Plain. There we saw a million penguins in snow, which is apparently quite rare, so yet again we were made to pretty special! In contrast, the next day can be sunny and warm with the water glittering turquoise beneath you! This happened on our visit to Grytviken, the renowned whaling station, famed by the adventures of Shackleton. It has a fantastic museum and an even better gift shop, a church, a post office, from where you can send your most remotely written postcards, and most importantly you can visit Sir Ernest Shackleton’s grave. The highlight of that island, however, was certainly St. Andrew‘s Bay. 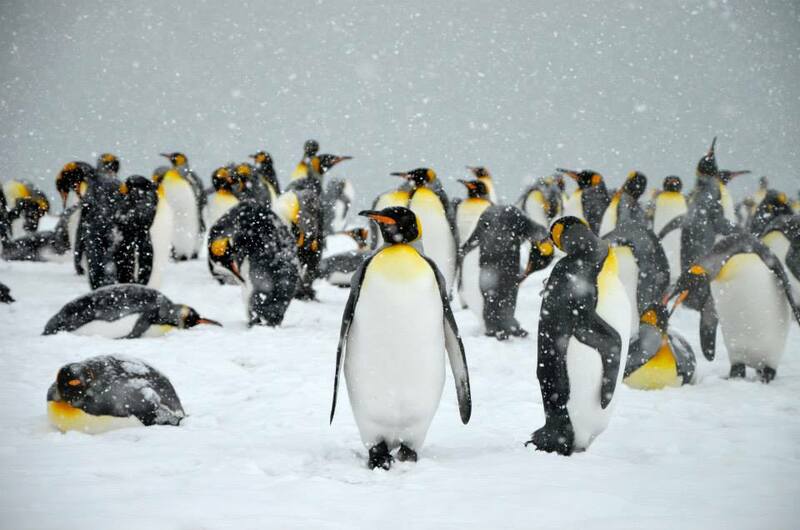 Home to three million King Penguins, the largest colony of penguins in the world! They were everywhere you looked, stretching out for miles and miles and further back, again with their brown fluffy chicks. 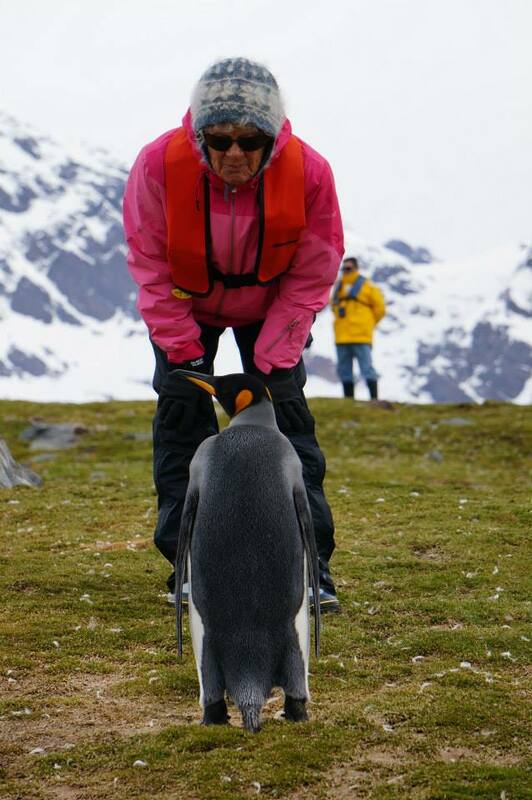 Many landings, penguins, seals, albatrosses and snowfalls later we departed for the Antarctic Peninsula. A few days of sea crossing awaited us, as well as a big storm with winds of almost 50 knots. It slowed us down by a few days, but didn’t stop us learning more about that end of the world! It is not only what you see on an expedition, but also what you hear and learn. The excellent team of expedition staff kept us enthralled with fascinating lectures and great movies making us even more hungry to learn more about this incredible continent. 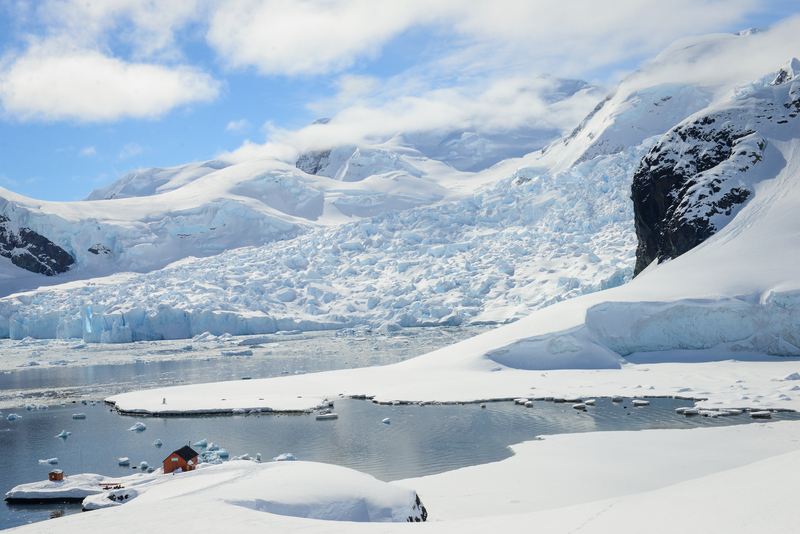 Finally, we reached Elephant Island, famous for Shackleton’s Endurance Expedition. You can’t go on land because of the rocky terrain, but we were able to see the impressive glaciers in an hour long zodiac cruise, including stops for seal and penguin spotting along the way. We then continued to Deception Island which was beautifully covered in snow and ice and then on to Half Moon Island, a small island of the South Shetlands. Nevertheless, I can’t help but think there is more to see. Every departure and every day is different. So I still have this overwhelming urge to return to this magical place called Antarctica. A word from the wise – be careful when you travel to Antarctica- you might be struck down with ‘polarhullar‘!!! This is a Norwegian term for those addicted to travel to polar regions. And yep, I can categorically say that’s what I’m suffering form right now….. I will be back!